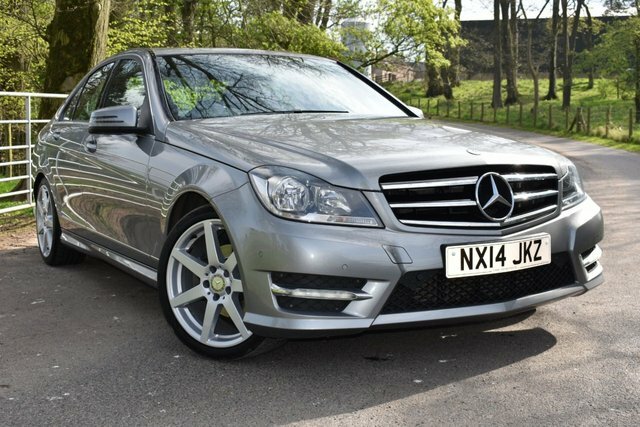 Sammy Lees Motors are delighted to welcome into stock this 2014 Mercedes-Benz C Class 2.1L C220 CDI AMG Sport Edition Premium Auto with 168 BHP. 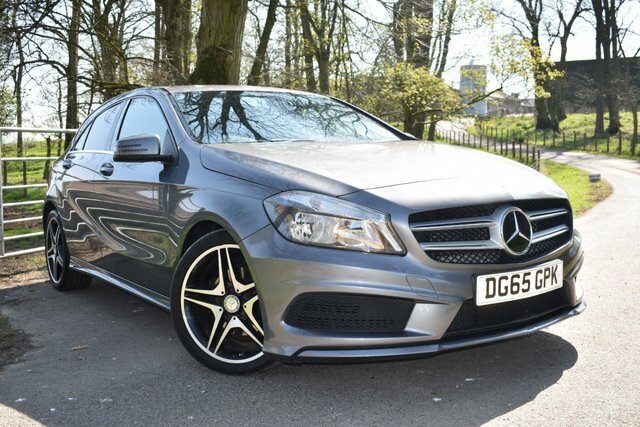 Finished in the classy Palladium Silver which is perfectly complimented by a luxurious Artico Leather & Dinamica Suede upholstery including heated front seats & 18" 7 spoke AMG alloy wheels. The C-Class saloon is well-known for being a comfortable and refined choice in its market, but Mercedes is also known for building cars that handle incredibly well. Each C-Class model is rear-wheel-drive, which immediately endears it to enthusiastic drivers thanks to the fact that it allows the front wheels to focus entirely on steering but also offers both sports appeal & affordability with Mercedes claiming that this vehicle will return an impressive 56.5 miles to the gallon on average. 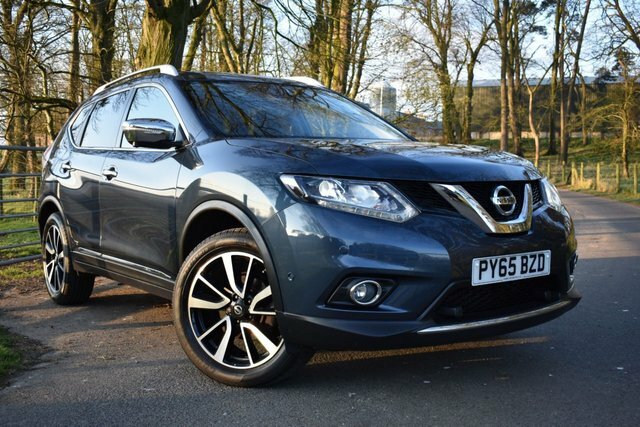 This vehicle benefits from a full detailed service history having been serviced at 10,384 miles on 4.2.15, 19,294 miles on 22.1.16, 26,933 miles on 21.1.17, 37,995 miles on 31.1.18 & will come fully serviced as well as 12 months MOT & 1 years FREE full warranty in house warranty - offering complete peace of mind. 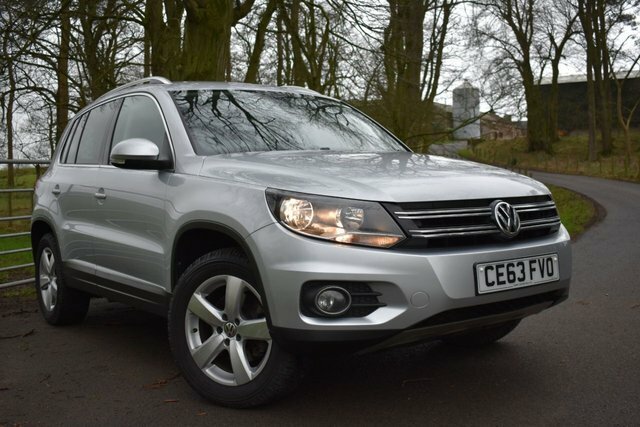 This immaculate & high specification vehicle comes with: - * Sat Nav, * Reversing Camera, * DAB Radio, * Bluetooth Connectivity, * Cruise Control, * Heated Front Seats, * Front & Rear Parking Sensors, * Auto Headlights, * Black Cloth Headlining, * Leather Multi Functional Flat Bottomed Steering Wheel, * 2 Remote Control Key Fobs, * Mercedes Benz Leather Owners Handbook Pack + Much More! 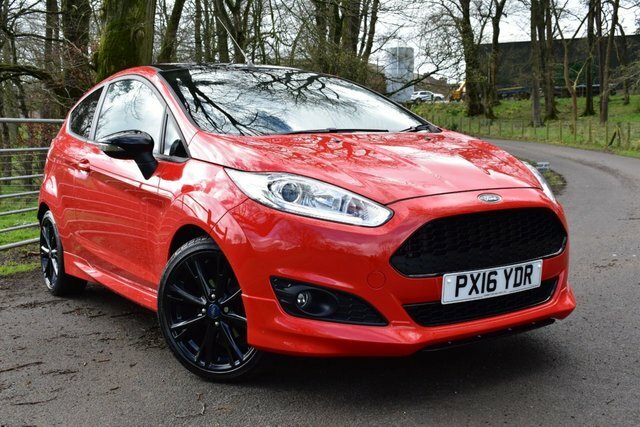 Sammy Lees Motors are delighted to welcome into stock this 2016 Ford Fiesta 1.0L Zetec S Red Edition with 139 BHP. Finished in the head turning Race Red with a contrasting high Black Gloss Roof which is perfectly complimented by a Grey cloth with eye catching red design & 17" 8 spoke high Black Gloss alloy wheels. The Ford Fiesta Zetec S Red Edition aims to deliver ST-style thrills with lower running costs including only being £20 per year road tax. 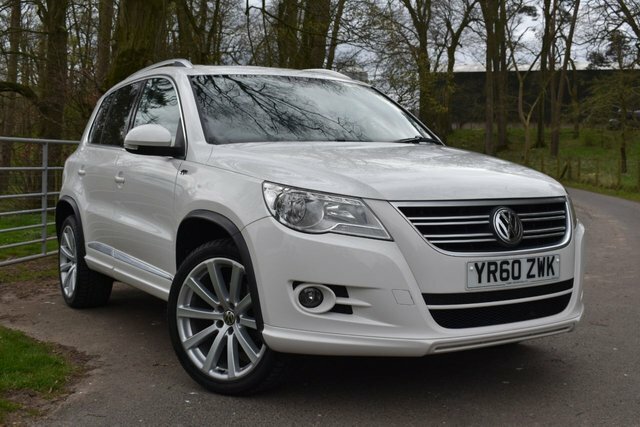 This vehicle benefits from having a full Ford detailed service history having been serviced at 12,641 miles & will receive a full detailed service & 12 months MOT prior to collection as well as 1 years full FREE in house warranty - offering complete peace of mind. 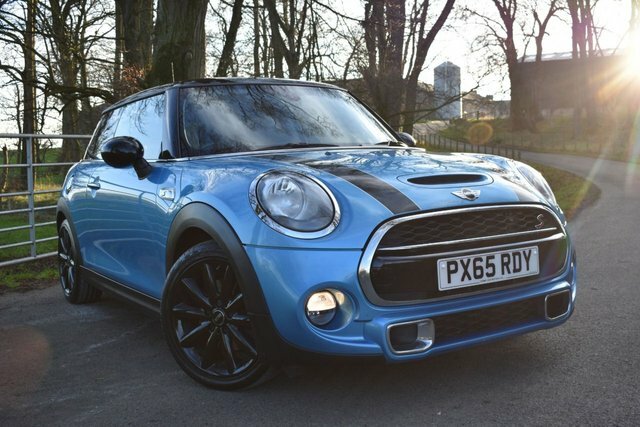 This immaculate & high specification vehicle will come with : - * Bluetooth Connectivity, * DAB Radio, * Air Conditioning, * Exterior Daytime Running Lights, * Leather Multi Functional Steering Wheel, * Front Electric Windows, * Heated & Electric Wing Mirrors, * Chrome Sport Foot Pedals, * Fiesta Embossed Chrome Scuff Plates, * Auto Stop Start, * 12V Accessory Point, * CD/Radio, * Front Fog Lights, * Rear Privacy Glass, * ISOFIX, * 2 Remote Control Key Fobs, * Ford Handbook Pack + Much More!